After my U13 practice last night we had a U17 session. The start time was 7:15 because we had team photos immediately after. Some of the boys had track and school soccer earlier that day, but everybody was in a good mood. I was feeling pretty groovy after a good session with our U13 boys. We started out with a dribbling warm-up and introduced them to some 1v1 attacking ideas. I am not sure what the sequence is called, but it's a change of pace, double tap on an angle with the outside of your foot, and making a move. The three moves we did were 1) turn back 2) chop across to the other foot 3) push it forward and go. We saw some good creativity by the attacker and some good attempts at finishing. On a side note, I always appreciate the GK on this team. He works hard all the time, even when he's not being directly coached. We used a Game-Activity-Game (GAG) approach to the last part of practice. Our last session, we worked on maintaining focus during transition. The progression was to introduce/review the counter-attack. Counter-attacking is a mentality. To me, it's a celebration of winning the ball back and trying to make the opponent sorry for losing the ball. This break in action and ideas changed the game. The boys gave our ideas and philosophy an honest shot and executed it with a fair amount of success. At times we corrected a few situations but for the most part, they understood. We only had 11 players and one of the coaches played. It would have been more effective if the entire team was here, but they weren't. We played with offside to make it more realistic. This was about counter-attacking, so it was transition from defending to attacking. Another time we will do transition again, from attacking to defending. This group has their first game Monday night. I am not sure what to expect as we've had very little time together and very few sessions with a full squad. They come to work and I always feel good about our progress when the sessions are over. I feel closer to my team than ever after our session last night. Last night we had our training on a mini field at our club. I was tired and emotionally drained yesterday, so I made sure the practice plan kept the boys busy and productive and not let my fatigue set me up to ruin training. My goal for the end of the night was to have more “challenges” 1v1 and playing the ball out of the air. I did not do any running. It was VERY hot, and I wanted them with full energy for the subsequent drills. We started with a dribbling warm-up that included dribbling through 6 agility poles and then running with the ball for 20 yds. Going through the poles we circled each one with the inside and outside of the feet then right and left foot only. Running with the ball is always a challenge for some boys and it requires more practice than some people think. We then set up a 1v1 sequence that we always use. Simple serve and play setup. I didn’t coach it because I was going to over-coach the next drill. We then set up a 10x20 grid. 7 yellow, 7 greys. Each team lined up on their own end, holding hands across as if to form a wall across the end of the grid. Each player was assigned a number. I would serve a ball in the middle, call a number and each corresponding number from each end entered the “battle area” to win the ball. To score the ball had to be played on the ground past the wall of players holding hands. I was looking for hard challenges and we were starting to get them. Our progression was that I would call 2 numbers. The first number had the challenge. If a player was beat, then his teammate (the second number) stepped in to cover. If you win the ball, lift your head and make the next play a smart one. I have to say I was happy with how this ended. I work hard to stay patient as I know each player needs that moment when they have a collision and realize it doesn’t hurt. The guys were whooping it up when there was a good challenge and I saw guys helping each other up after collisions. Getting your players to challenge is more mental than it is technical. It's not like teaching how to cross or defend as there is fear to overcome. When it's happening, one player at a time, the entire team senses a new level of intensity. As a coach, I am happy with our progress heading the ball, playing the ball out of the air and the appreciation they are developing for strong challenges. I wouldn’t say it was my best coached session ever, but I wasn’t in the mood to be frustrated and I didn’t want to ruin a 90-minute opportunity to work with my boys... so I will say I am proud of how I planned it. They gave me 100% and showed improvement, so I can't be unhappy. We even took a 10 minute break to cheer on our U9 boys in their first ever game on the next field. Watching them leave, I felt good that they were feeling good and they know they did a good job. Reflecting afterwards, I can say we worked together to keep the practice on track and productive. There is one thing we need to improve on ... chasing balls during the pre-practice goof-around. The boys were told last night that practice stops when I do not see 20 balls present. U12 Boys - "Can I go forward?" Last night, I was invited by Coach Jim to run a session for the U12 boys. I know many of these players from past clinics and our fitness sessions, but I’ve never worked with them as a team on the field. I started with a dribbling warm up using agility poles. Players were going around the poles with the inside and outside of their feet, both feet. We then got into turning and passing. My focus wasn’t so much on different styles of turns, but deciding which foot to use on the turn and subsequent pass. We were also stressing the quality of the pass to the next player. The goal of the game was to connect with one of the two teammates in the other half and they had to complete a pass between them. We were looking for the players to decide if they had an open target. If yes: pass now. If not: turn and pass to a supporting teammate in your half, exactly how we did it in the previous drill. The game was starting to work and the players were getting the hang of it. It definitely merits revisiting during a future session. To help the boys understand the support aspect across 4 players, I told them the player with the ball had to be the forward most player in that half of the field. That helped a bit. When we got into our 7v7 small game, the lesson was to look/touch forward first and look to attack. Ask the question "Can I go forward?" Make decision quickly? Pass/dribble forward? Pass back to support? Patience! If forward play is not there, that's OK. But you had to look forward to determine that. I learned quite a bit about this group and I know what I need to know when it comes to delivering a session. They worked hard for me and I appreciated that. Some of them got the points and the rest were on their way. Some went forward no matter what the situation. My next time with them I will practice moving the ball, back and forth, across 4 players then try the 6v6 exercise again and see if there's improvement. One of the keys to possession is to be able to decide if you can go forward or not, and play the ball accordingly, with technical proficiency. This morning we had a session with the u17 boys. It's been a long time since we had 14 boys at training. School soccer has been busy for most of them, but slightly detrimental to the development of this group. To be honest, I went without a plan. :-) I was feeling silly always having a plan only to watch it get scrapped. I leaned on my experience, read the numbers and mood and tried to make good use of the time. I had several ideas in mind and decided what I wanted to do while they had their own thing going. Our situation was 14 players on a 60x40 mini pitch, 20 balls, blue and yellow pinnies and plenty of cones. The full field was available but the club is looking to keep people off that until the last possible minute. Understandable. The boys had their own shoot-out going and we let them finish that. I am not a big fan of interfering when the kids show some initiative and get their own juices going. I decided to take a transition theme to the practice. But, for transition, I was looking more at the mentality of staying awake during the game and reacting quickly to a change in possession. We did not specifically work on counter attacking, etc. When the 9 lose the ball, to converge on the yellow to win ball back and prevent push-ups. When the 9 win the ball back, to re-establish their shape and use all the space. It went well and their hormones made it competitive. The ball was moving quickly enough and the boys were expressing themselves through their ideas. We then moved to a game where we set up a field of play 15x40yds, divided into 3 sections, with the middle section the smallest. We had 3 teams (grey, blue, yellow). The team in the middle had to prevent passes from making it from one end to the other. A player from the middle could enter the end areas to pressure the ball. If the team in the middle intercepted they had to immediately play the ball to the team they did not intercept from and switch places with the team that just lost the ball. The players who just lost the ball had to move to pressure the ball in the other area and prevent a pass through. The team that just came out of the middle had to get to their new area and be ready to play. First team to complete 5 passes across wins. If a ball lands in your area and you let it go out you were back in the middle and the coaches served a ball to the other end to keep the game moving and maintain the reason for staying alert. I was going to step in and fix a few things but the players were yelling and being demanding with each other when somebody was not hurrying or alert to their new duties after a change in possession. That was what I was looking for and we let the boys' collective venom give the game a life of it's own. This game lasted for quite a while. We then set them up in a mini-game (7v7). There was very little coaching for the first part. To turn up the heat we set up the game, golden goal, losers do 20 push-ups. The yelling started again when players were not coming back to defend and getting forward on winning the ball back. To finish, Coach Loris moved them to the full field to get some shooting in with our GK in goal. On Thursday I have the boys on my own. I will continue with transition play but apply it directly to game situations. With this group of boys, I find myself doing very little direct coaching. I get more success from them when I set the practice up to force my coaching points through the situation and conditions created and allow their own competitiveness to drive the session forward. The practices must have meaning and be enjoyable because we want them to keep these kinds of numbers. It's fun listening to them trash-talk each other about school rivalries. I look forward to the school league play-offs heating things up. U12 - Keep up the good work Coach Jim! 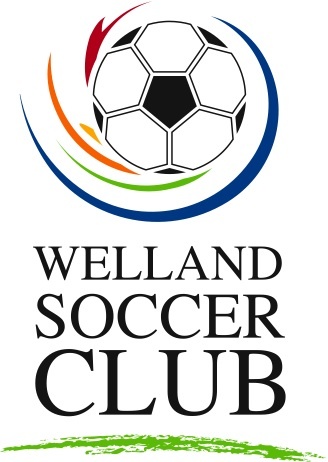 Coach Jim (Welland U12 Boys) has been doing a great job providing his boys with a multi-faceted, multi-pronged, multi-media program delivery. These boys hear different coaches and meet under different circumstances all the time.